Smartphones not only change the way we watch movies, but also make it possible to shot and make home movies. Let's put it this way: now you have all the clips taken with iPhone, iPad, mobile, camcorders from holiday, wedding and other precious memories at hand, and all you need is a good Mac video editor to create personal movies on your own. Below we have the best movie editing software for Mac gathered, which can turn your footages into something amazing. 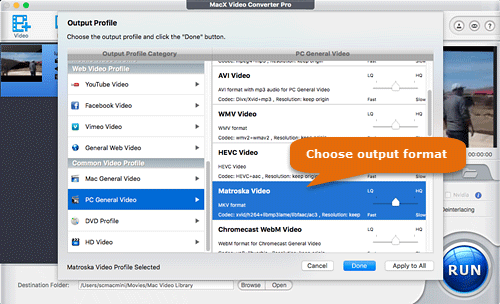 To turn the video shots into something spectacular, MacX Video Converter Pro is recommended. This program is not only an excellent video converter, but also a powerful movie maker editor for Mac which works best to create to edit movies on MacBook Pro/Air or mini. 6. 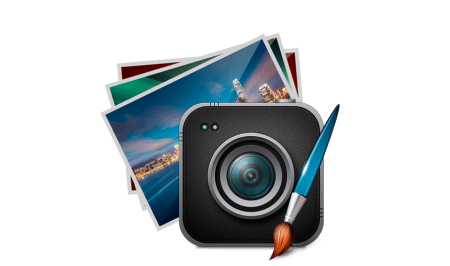 Edit movies on Mac in any formats for iPhone X, 8/Plus/7, iPad, 350+ mobiles, and YouTube, FaceBook, Instagram, Vimeo etc. 7. It constantly upgrades to support the latest macOS High Sierra, Sierra, El Capitan, etc. There is no watermark or other limits. Video editing & conversion on Mac remains 5X faster than any others. Step 1: Free download movie editing software for mac (32/64-bit Mac) on computer and launch it. Then click add button to load the video or movie. You can load multiple videos or movies for editing at a time. Step 2: First of all, you can start to edit movies on Mac by merging all the footages into one. Select all the clips to merge, and enable the merge button on the right lower part of the interface. Step 3: Click the Edit button with a scissor icon to enter into the editing page. Then a winwow will pop up with options to trim, add watermarks, crop unwanted parts, adjust volume, rotate video etc. Click each button and make neccessary edits as you like. * For any other purpose, MP4 will be your best bet. Step 5: Click the setting buttons to adjust the video parameters. You can adjust the bitrate, sample rate, resolution, channels, and other settings. This is extremely useful if you want to compress videos to smaller size. Step 6: After all the settings, click Run button and the software for Mac will apply all the editing and settigns to the video. There is no quality loss or watermarks. Note: You can also download movies, or record movies with the program. It's very easy to operate. How to edit movies on Mac — Full guide on how to edit movies on Mac easily. How to edit GoPro videos — Guide to create cool movies from your shot footage with Gopro. Cut MP4 video files — Learn how to split trim and cut MP4 video files without re-encoding. Add subtitles to MP4 — One feasible solution is to add subtitles to MP4 video file. How to Merge Videos — Guide on how to merge videos into one by using the best video merger. 1. iMovie - iMovie is the default Mac video editor that every Apple users running on macOS 10.11.2 or later can rely on. It packs features to add music, effects, titles, animations and options that you may need to create high quality movies from video clips shot with any devices. Overall, iMovie is enough for basic editings, and don't expect any miracles. 2. Lightworks - Lightworks is an excellent free movie maker editor for Mac alternative to those professional but pricey ones. In other words, this program comes with a slew of advanced features that are in the same league as the best movie editor for MacBook Pro/Air, iMac. Free download the program, and it won't let you down. 3. WeVideo - WeVideo is quite different to other video editors for Mac on this list. Instead, it's a cloud-based video editor which seamlessly connects with Dropbox and others cloud-based file storage services to let users edit videos on cloud. If you have gigabytes of footage store on cloud, you can edit movies on Mac quickly without a time-consuming download. 4. Premiere Pro CC- Premiere Pro CC is a professional Mac video editor that has everything to cover any movies, videos editing requirements on Mac computers. The editor has tons of useful tools to edit videos, add video effects, adjust colors, edit titles and captions and more. It has support for 360 content, 4k and HDR videos. However, Premiere Pro CC comes at expensive price. MacX Video Converter Free provides users the simplest solution to edit movies on MacBook Pro, Air, iMac for YouTube, FaceBook, Vimeo, Instagram, etc. in supported video formats like MOV, MP4, etc for free playback on QuickTime, iTunes and more.